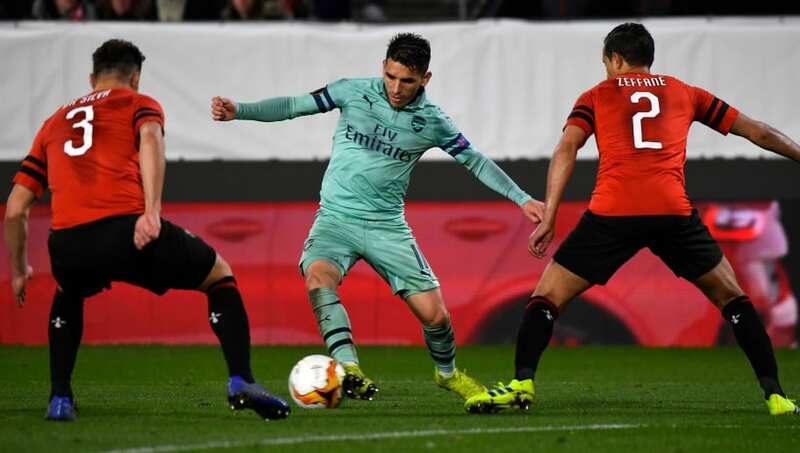 ​Arsenal midfielder Lucas Torreira's father has revealed that his son is happy at the Emirates Stadium but has refused to rule out a move away from the North London club. The former Sampdoria midfielder has been one of the first names on the team sheet under Unai Emery. He is yet to replicate the performances he produced in Italy last season, but it is safe to say that the Uruguayan's debut season in the ​Premier League has been a success. Before moving to England, ​Napoli were interested in securing the midfielder's services, but delayed negotiations saw Arsenal steal the player from right under the ​Serie A club's nose. Now, looking at how well he's settled in at the Gunners, there is really no reason for the midfielder to seek a move, but his father has claimed that he could very well move back to Italy – the place where he grew up. "Why not to Napoli or another club that makes an offer?" "It’s true, Lucas was very close to Napoli. There were negotiations with Napoli, but something strange happened, and you know in the transfer market things can change from one moment to the next," Ricardo Torreira told Radio Marte, as quoted by Football Italia. "Negotiations are long and complicated processes, so it can happen that they don’t go the way we expected. There was this opportunity to go to England and Lucas took it, so I have to say he is happy at Arsenal." "Obviously, Lucas is very fond of Italian football, where he grew up, and might return to Italy in future. You can never say never, so it’s possible he could come back to this marvellous country and, why not to Napoli or another club that makes an offer?," he concluded.